Like many a visitor to Paris, I left with an ever-burning desire to return. I’ll peruse Instagram feeds filled with images of pastries, the Eiffel Tower, and chocolate shops, just to reminisce about the time I was there. Fortunately sometimes something comes along to remind me just how good I have it in the Bay Area. Especially food-wise. 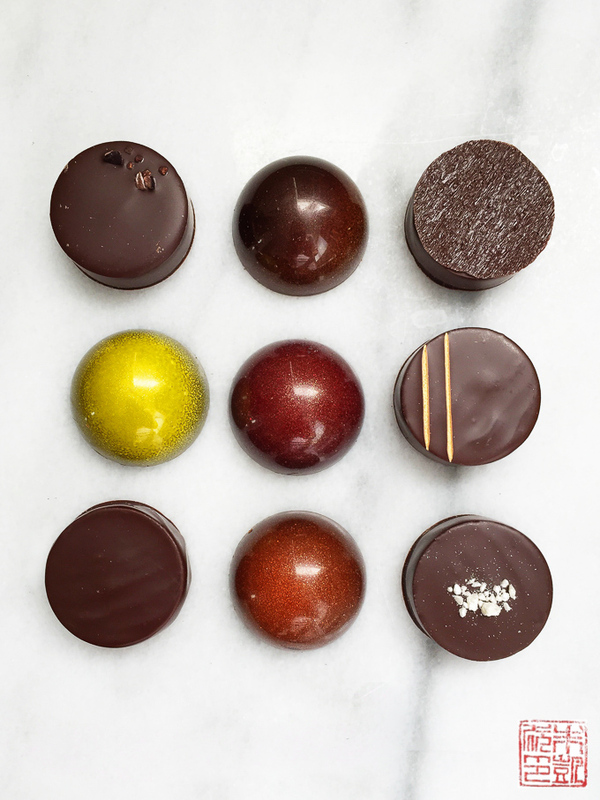 Nuubia Chocolates is a local artisan chocolatier that’s been quietly making fine French-style chocolates for boutique hotels and private customers for several years. 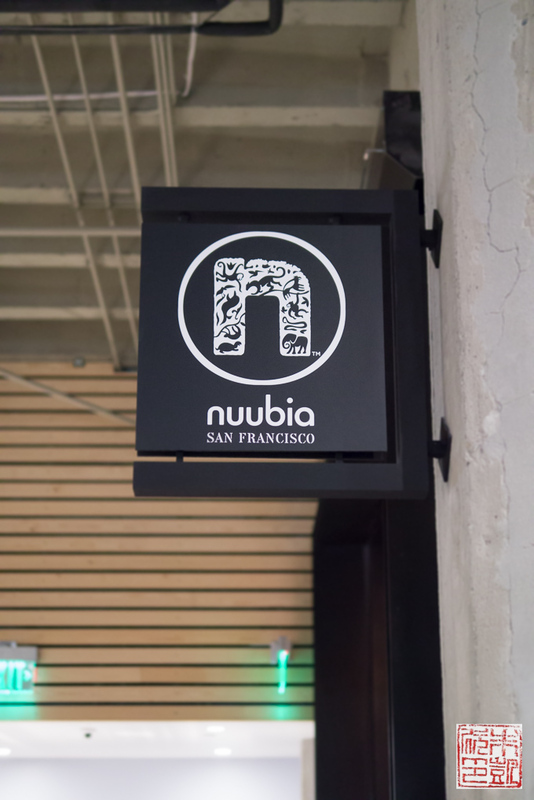 However, with the opening of their retail space in downtown San Francisco Nuubia is expanding their reach to the public. I can’t think of a better place for Nuubia to start than the Bay Area, a hotbed of artisan chocolate making and chocolatier work. 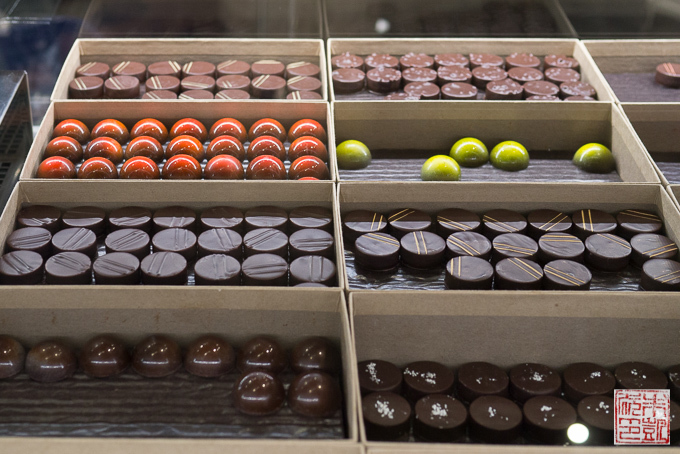 I’m truly excited that these fantastic chocolates and confections made in the classic French tradition are now part of the local food scene. Nuubia Chocolates’ logo reflects their dual mission: to create outstanding chocolates and to promote conservation. Alexandra Saunders, CEO and co-founder, has always been passionate about protecting wildlife, so when she decided to start a chocolate company, she wanted to make sure that the ingredients sourced for her creations were wildlife and environment-friendly. All the ingredients in Nuubia’s products are palm oil free – the creation of palm tree plantations in tropical regions of the world often requires the destruction of native forests and jungles that are the habitat of many endangered species such as tigers, rhinos, and elephants. Nuubia also does not use ingredients containing GMOs, and they specially source many of their ingredients to be “Wildlife Friendly”, “Gorilla Friendly”, and “Cruelty Free”. 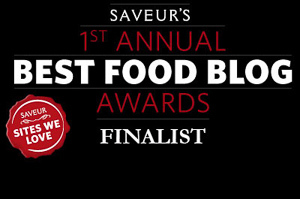 I’ve always been a big animal lover, and Alexandra’s mission speaks deeply to me – that you can pursue multiple passions and combine them into a worthy project, that you can make fine food with high-quality ingredients while also remaining socially conscious, and that you can do all of this in high style. 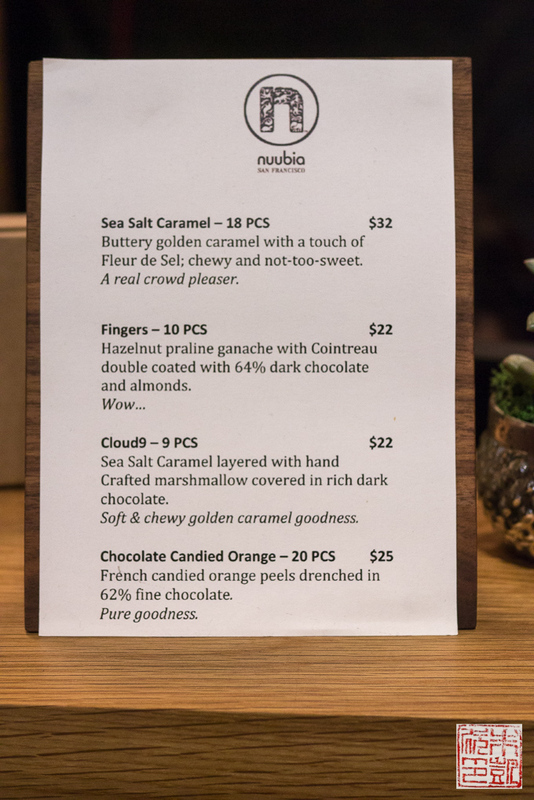 The quality of Nuubia Chocolates and their social mission makes them a perfect fit for the Bay Area’s food scene. 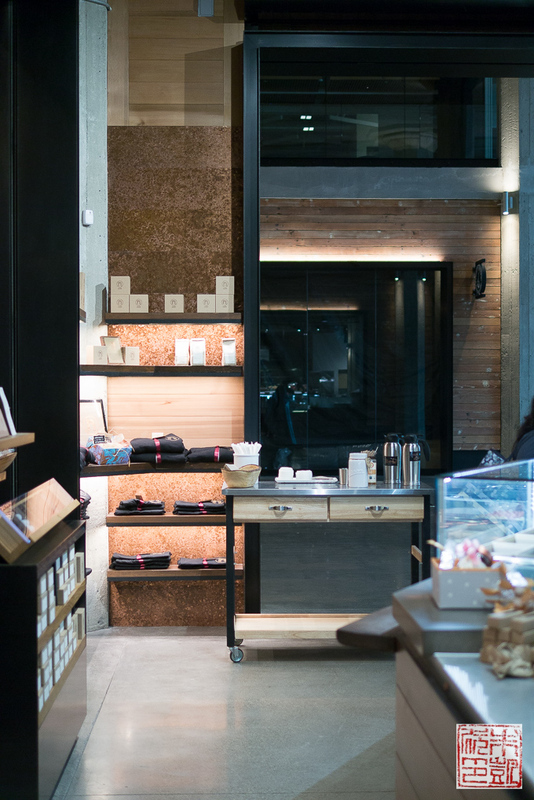 The Nuubia shop, which is tucked into the Market on Market, is a combination store/cafe where you can buy Nuubia’s chocolates and confections, or sit and enjoy a coffee or one of their specialty chocolate drinks. I highly recommend the latter! 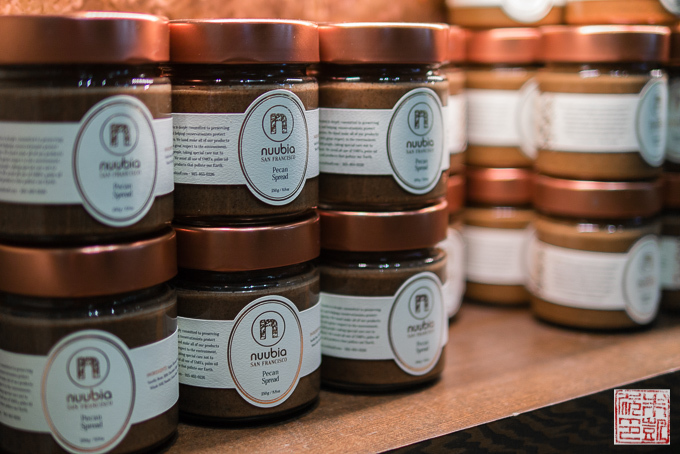 Nuubia’s signature chocolate line on display. 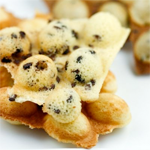 The head of production in Nuubia’s pastry kitchen is Lionel Clement, who worked at famed Lenôtre in Paris for several years and has won numerous international awards for his chocolatier skills. I am absolutely excited that he has chosen to bring his talents here to the Bay Area. 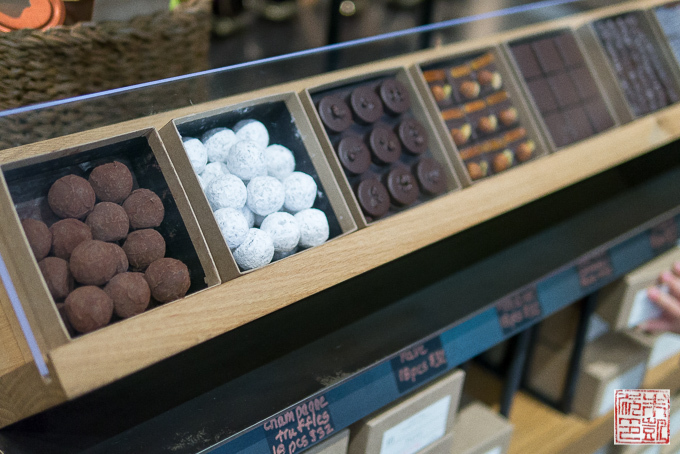 The chocolates at Nuubia are very refined and impeccably made; usually when I taste chocolates I’ll pause to analyze the flavor or texture, or note any imperfections, but with Nuubia’s chocolates it’s just pure enjoyment the second they hit your tongue. Some of my favorites are the lime and vanilla ganache, salted peanut praline, and raspberry and jasmine pearl tea ganache. 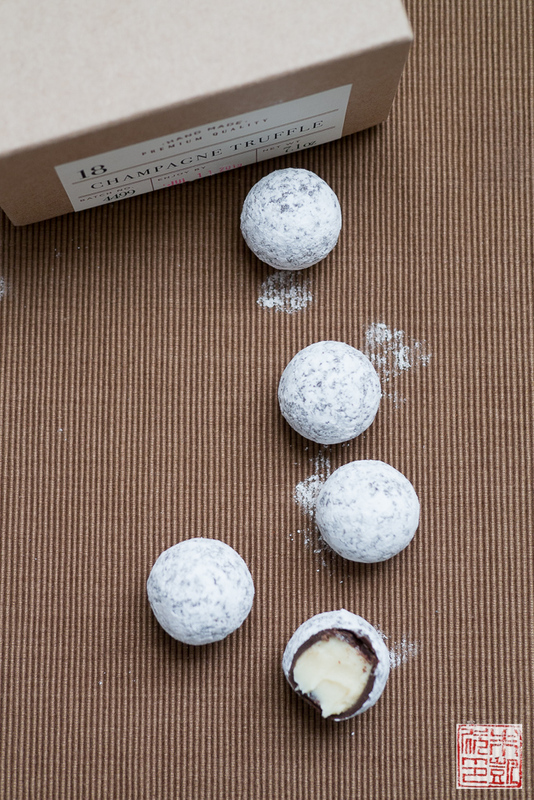 They also have boxes of other confections like truffles, caramels, and mendiants. I love how the whole place is just like a chocolate shop in Paris, with every sort of classic French confection everywhere. 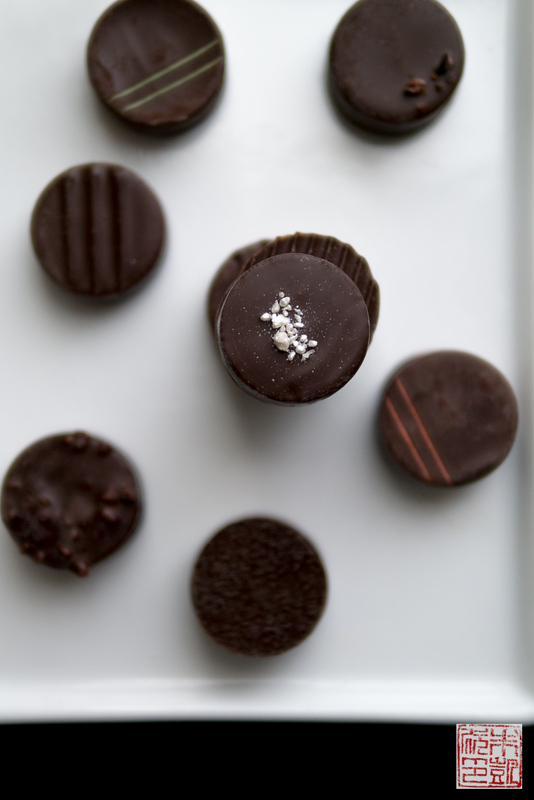 Some of their champagne truffles, made of Cognac-infused white chocolate ganache hand enrobed in dark chocolate and dusted with confectioner’s sugar. 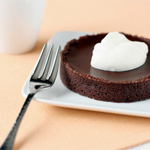 The shell is delicately thin and snaps perfectly under the bite to reveal the silky ganache beneath. It’s light and rich at the same time – precisely balanced. 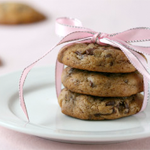 A list of descriptions for some of their confections. I want them all. 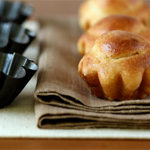 Chef Clement is apparently a big fan of hazelnuts, which makes him a man after my own heart, as hazelnuts are one of my very favorite ingredients in pastry. That’s why this is currently my absolute favorite candy bar right now. 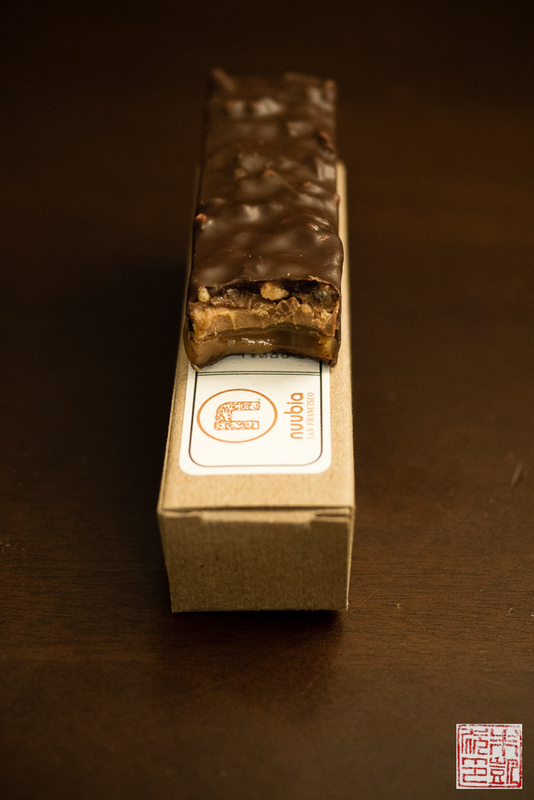 The very appropriately-monikered OMG Candy Bar has a crisp hazelnut praline layered over a chewy sea salt caramel, with the entire bar dipped in chocolate. 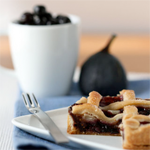 Like all French pâtisserie, one bite is enough to satisfy, yet I want to inhale the entire bar every single time. 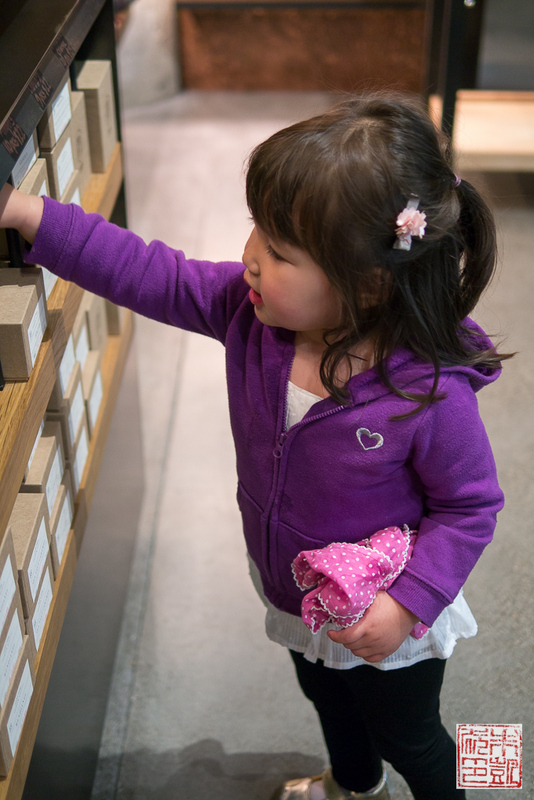 My little shopper picking out her favorites from the lineup. Some more Nuubia sweets, including their line of caramel and chocolate sauces. 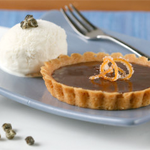 Their sea salt caramel spread is an ideal companion for their their vanilla bean ice cream. 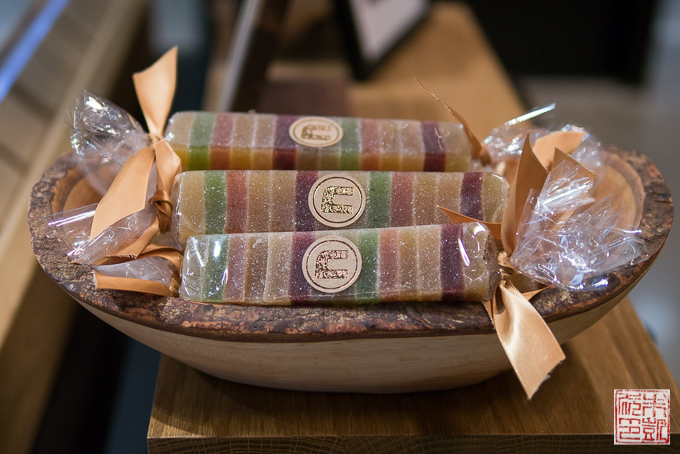 A rainbow of pâte de fruits. 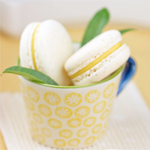 Nuubia is also introducing some new items exclusive to their store, including some beautiful macarons. 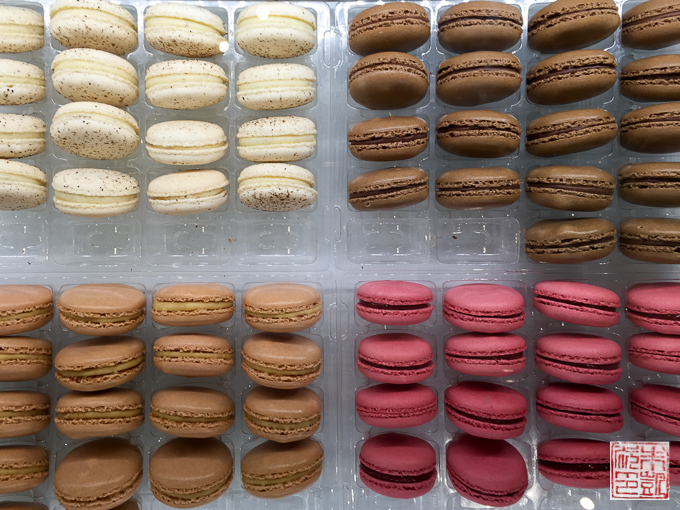 Clockwise from top left: Vanilla, Chocolate, Strawberry, and Sea Salt Caramel. 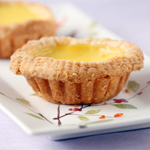 Seasonal flavors rotate in regularly. 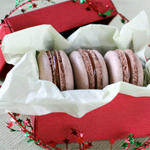 Their macarons have a lovely light texture and very pure, intensely-flavored fillings. 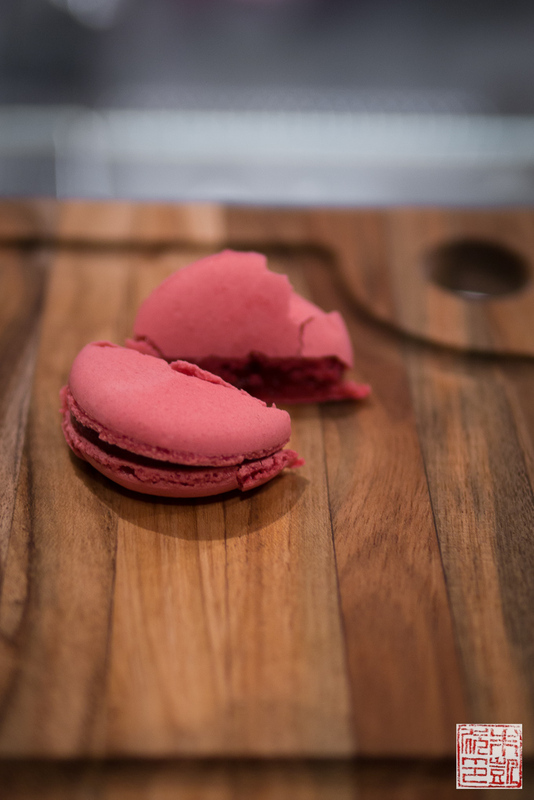 I particularly liked their strawberry macaron, which had a rich jamlike gelée filling. 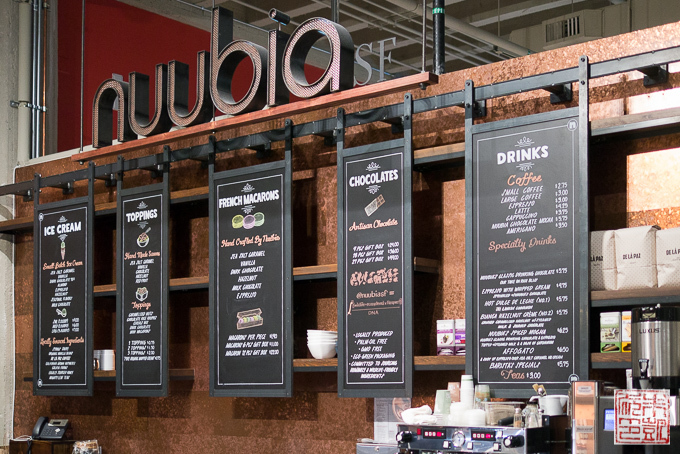 Nuubia also offers their own housemade ice cream in the store. My favorites were the mint chip, which was very light and understated; the hazelnut (naturally), and the pina colada sorbet. 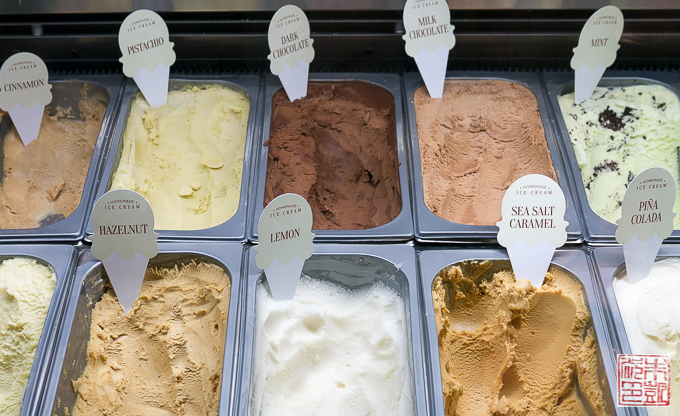 The ice creams are very rich and creamy, more like gelato than ice cream. A must-try if you stop by the store is to have an affogato made with a flavor of your choice: divine. Thanks to Alexandra and the staff of Nuubia Chocolates for showing me around their beautiful shop and giving me a taste of their sweets. 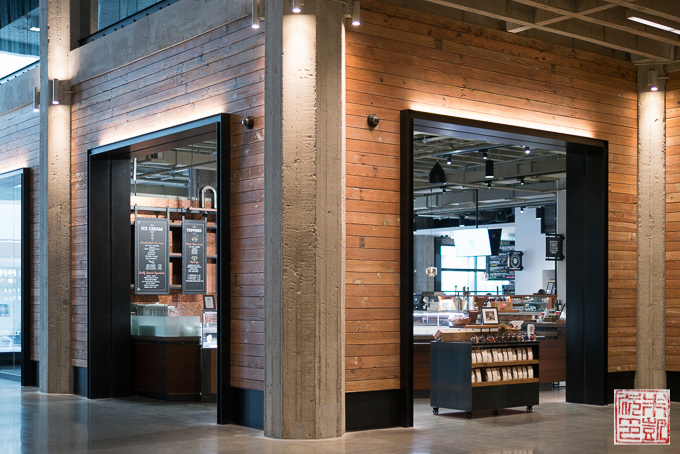 They are a fantastic addition to the stellar chocolate scene in San Francisco and I can’t wait to return and try more of their offerings. Even if I’m not in Paris, I can get my chocolate fix here now! Wow, everything looks amazing! My husband works in the City so I’m going to see if he can drop by on his way home one day and pick up some treats for me to try. Champagne truffles! Ugh…I want…Great photos! I just got back from San Fran and totally agree, so many great eats! 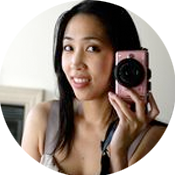 Hi Anita, thank you for sharing your experience at Nuubia Chocolates. This is an excellent in-depth review! I have tried Nuubia Chocolates and was also very impressed with this company! 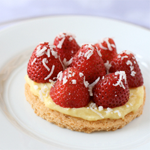 You describe it perfectly when you mention how Nuubia reminds you of Paris! 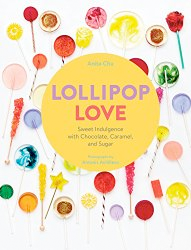 I am so glad that you’re helping to get the word out about their amazing chocolates, ice cream and patisserie as well as their environmental mission! Thanks Lisa! They do have amazing stuff and I’m so glad you agree! Their production kitchen is in Pleasanton and it’s open for visitors too! They seem to have everything that is delicious! And I love that they are considering the environment. Oh my goodness, these chocolates all look so amazing!!! Next time we’re in San Francisco we are stopping by FOR SURE!! So fancy! I want them all! This is definitely on my radar the next time I go to SF!! Wow, everything looks fabulous, but I agree, that hazelnut caramel chocolate bar looks like heaven on earth to me! OMG! How amazing is that combination? Thanks for the review! I need to go to this place – HEAVEN! Thank you for sharing such a great experience, feel like I was there. Oh goodness, everything looks divine. I’ll take one of everything! What a fantastic place! I hope to visit SF some day! Gorgeous! I want all of them. Sounds like an amazing place! I live in South Bay so it’s a pretty close trip up there. Will have to check it out!